Want to be noticed and have your boat stand out in a crowd? Would you like to back into your slip at night without damaging the swim platform? Want to create a festive atmosphere for your water-born parties? From personal watercraft, center-consoles, to the largest cruisers or Super-Yachts, Imtra has the LED underwater lights for you. Whether you are looking to attract your favorite game fish, upgrade the appearance of your vessel, or just want some additional security, Imtra has the perfect Lumishore LED underwater light for your needs. We offer several models of boat LED lights ranging from Thru-Hull underwater lights for your Super-Yacht, to Surface-Mount underwater lights for your fishing or sport boat. Whatever your boating pleasure, we have the best underwater LED lights to fit your requirements. In addition to standard, single color LED lights, Lumishore is an industry leader in Color Change LED lights as well. These Color Change lights provide an awesome array of lighting sure to attract your favorite species of game fish. Lumishore provides your choice of preset colors, strobe light modes, a color cycling mode, or you can create your own series of colors. 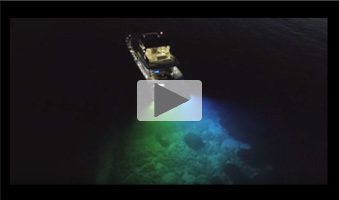 Lumishore’s Color Change underwater lights are the brightest, most powerful lights on the market today and the best way to draw fish to your vessel, using the proven strobe effect, which is known to attract marine life. If you're looking for “underwater brilliance” for your boat (or dock), look no further than IMTRA and the advanced technology of Lumishore. With Lumishore, you are guaranteed to be getting the best, brightest, most brilliant LED underwater lights on the market. 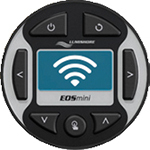 The configurator above allows you to customize Lumishore's products on a variety of vessels to achieve your ideal "underwater brilliance". underwater EOS LED lights in action.